2017 has already been quite a year for cred - we’ve secured 850+ events, expanded the event management side of the biz, and seen a record number of referrals. As a result, one SF afternoon in February, Executive Director Caitlin and Managing Directors Steph and Laura walked into the office, bumping “Escape (The Piña Colada Song)” with ice cold Coronas in hand. The reason? 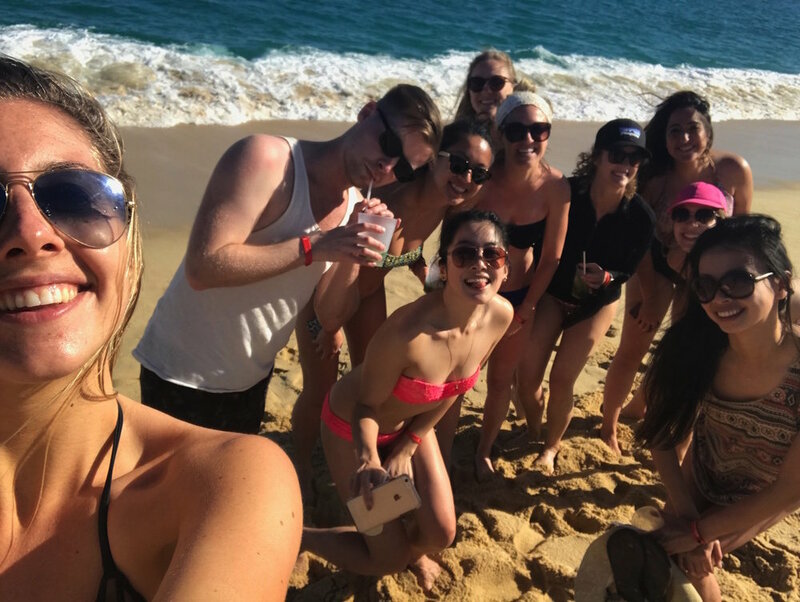 A very unexpected announcement that the entire team would be going to Cabo! Cycling through stages of surprise, disbelief, and sheer excitement (but mostly disbelief), the rest of us were ready to spontaneously combust. A few weeks later, we traded fog for sunshine and jetted off to Cabo San Lucas in Mexico for a long weekend. Not only did we have the chance to fit in some much-needed R&R, but it was a great team-building opportunity as well. Client Relations Jr. Associate Roya is a brown belt in karate. Executive Director Caitlin and Events & Operations Specialist Kyle were both elected Senior Class President in high school. Client Relations Jr. Associate Ariana has mad pool volleyball skills.